When I’m looking for a new fiction book to dive into, which I admit is not as often as I’d like, I turn to my favorite media outlets to see if anyone I follow is reading something interesting. Here I caught wind of a new book by Virginia Baily that has ties to Cardiff. I discovered this book only three days before I left Cardiff so I decided to have a look at the local Waterstone’s in The Hayes. A sunrise palette book cover never disappoints. A vivid red, orange and gold cover stood out in the display. The bright scene depicts a woman dressed in 1940s clothing holding hands with a young boy walking down a Roman street. Intrigued, I decided to purchase the 389-page novel. The last thing I needed was a five-pound hardback added to my carry-on, but I wanted to bring a new, as of yet undiscovered to me, bit of Cardiff home. However, I chose to wait until I was fully re-acclimated to living in the US to start reading Baily’s tri-era ode to the definition of family. I always feel like reviews are 10 for a penny, but this book made me laugh and smile and furrow my brow so I wanted to express my opinion. 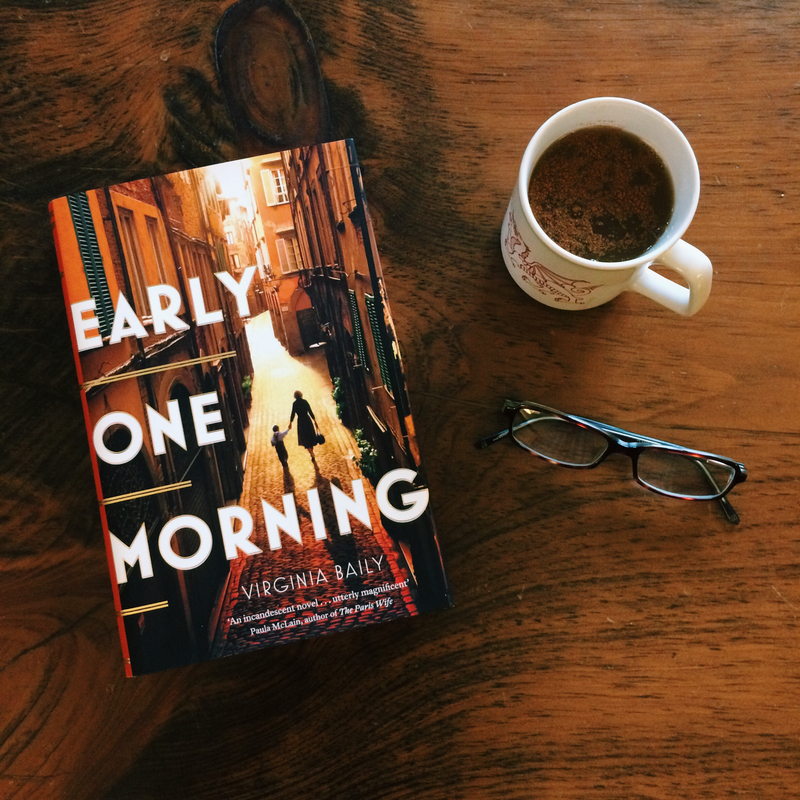 Driven by time period Baily has crafted a family from a non-religious set of sisters, a young Jewish boy saved from the ghetto and a community lashing out against their occupiers. Young Chiara is a strong-willed woman plagued by the effects of her decision to save Daniele from deportation out of the Roman Jewish ghetto. 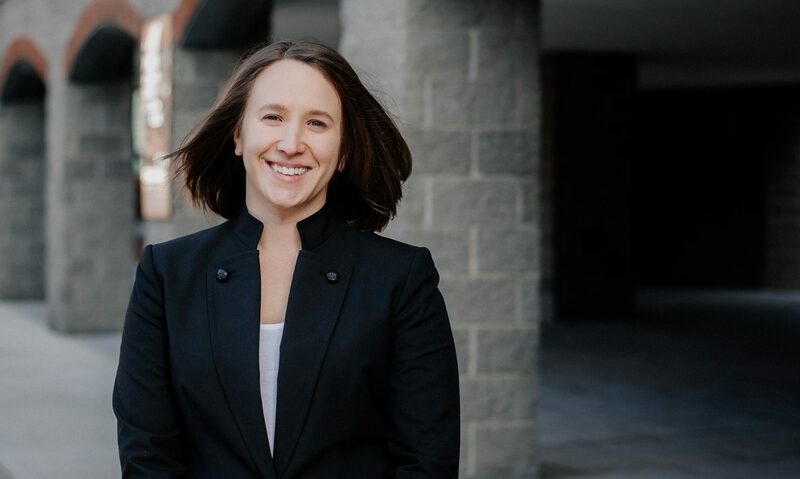 I think when she made eye contact with the boy’s mother, who was standing in the bed of a Nazi truck awaiting transportation, Chiara tapped into the motherhood gene she wished her own mother had the strength to show. By plucking Daniele from a most hideous fate Chiara found something for her to cling to, to keep alive, to love even, as her city and family crumbled around her. Old Chiara, as Baily has crafted her, is a very introspective person. She barely has the mental strength to keep up her friendships and is often found smoking, alone, in her overcrowded “hoarder-esque” apartment. If she weren’t a fictional character, TLC’s creative directors would love to get her contact information. While Baily did a superb job inviting the reader into elderly Chiara’s apartment, describing her compulsive buying and smoking addiction this took away from real analysis of her feelings. The elderly woman hid away trinkets, photographs and clothing, even memories, to escape her feelings. I love a story that delves into a character’s emotions, and unfortunately in the elder manifestation of this character I felt short-changed. Rome of 1973, thirty years on from “young Chiara,” is also the era in which we meet Assunta, the signora’s housekeeper. Equal parts comic relief and maternal figure, Assunta plays elder sister to the signora and eccentric hostess to Maria. Assunta has lived similar struggles to Chiara. However, she moves past such challenges as if they are lower flights of stairs on her journey to the holy penthouse promised to her in the Saint’s book she carries in her pocket. Reading about Maria’s fights with her parents felt like reading a Judy Blume novel. Sometimes I wanted to shake her and say “Get over yourself!” Other times I had the patience to allow her to figure out how to grow up on her own. Mostly I sat back and enjoyed Baily’s take on a young girl finding her identity in a far away land. The mystery of her connection to Italy was recalled through the very blurry knee-high memories of a toddler. These beautiful scenes made me think back to my earliest memories. The ones in which large out-of-focus shapes of color pass before me and I am too young to identify exactly what they are. Maria had no memories of Daniele, her biological father, but I was looking forward to seeing her greet him for the first time and make her first memories of this troubled man. 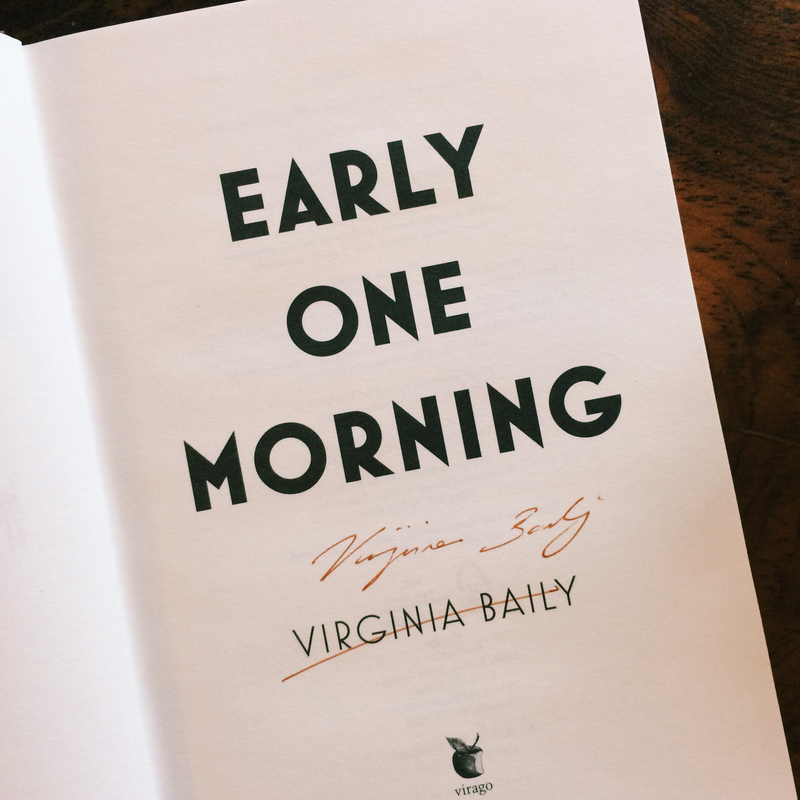 “Early One Morning” signed by the author, Virginia Baily. I was perturbed that I wasn’t able to see Maria meet her father, nor the reunion between Chiara and Daniele. I loved Baily’s ability to craft a scene in which the reader’s imagination takes over and the brain no longer focuses on the words on the page. Her imagery propels the story and the anticipation of the embrace between these three characters drove me to continue reading. While I was disappointed with the ending, this book will remain on my shelf and will be the “go to” when I want to remember a year in Cardiff. PS: Growing up borrowing books from the community’s public library I was taught dog-earring pages is the eighth deadly sin. However, I purchased Baily’s and was so struck while reading these passages I found myself bending that sacred top corner of certain pages. Chiara proving scent is one of the strongest methods of triggering memory recall. Maria’s thoughts on chemistry as she considers blowing off her exams. Chiara’s collection of trinkets bought at the market is similar to Ariel’s, the Little Mermaid, trove of ordinary treasures. Maria voices her opinion of celery as she watches the signora clean a stalk.